Home | Sale | Deals | Up to 50% OFF Sports Nutrition | RAW Organic Meal Chocolate Cacao 34.8 oz. Garden of Life® RAW Organic Meal was formulated to be a snack or meal replacement that satisfies hunger, is naturally filling and provides energy, all while providing the protein, fiber, vitamins and minerals that you would find in a meal of raw foods. RAW Meal provides the nutrition of a well-balanced, raw meal in one delicious serving. Containing 26 superfoods from RAW organic seeds, sprouts and greens, RAW Meal provides 20 grams of protein, 9-16 grams of fiber (depending on flavor) and 2.5 grams of fat. RAW Meal also offers 20 Vitamin Code vitamins and minerals providing at least 100% of the Daily Value of 16 key nutrients. Gluten-free, dairy-free and lactose-free. It has no fillers, no synthetic nutrients, no artificial flavors or sweeteners and no preservatives. Chocolate Cacao flavor. Contains 28 servings. Other Ingredients: Organic RAW Sprouted Protein Blend Organic sprouted brown rice protein, organic amaranth (sprout), organic buckwheat (sprout), organic millet (pearl & sprout), organic quinoa (sprout), organic chia seed (sprout), organic adzuki bean (sprout), organic flax seed (sprout), organic garbanzo bean (sprout), organic lentil (sprout), organic pumpkin seed (sprout), organic sesame seed (sprout), organic sunflower seed (sprout). Organic RAW Fiber Blend Organic Flavor Blend Organic RAW cacao, organic chocolate flavor, organic erythritol, organic stevia extract (leaf), sea salt. Organic RAW Fruit & Vegetable Blend Organic spinach (leaf), organic baobab (fruit), organic apple (fruit), organic beet (root), organic broccoli (stalk & flower), organic carrot (root), organic tomato (fruit), organic strawverry (fruit), organic tart cherry (fruit), organic blackberry (fruit), organic green bell pepper (fruit), organic brussels sprout (leaf), organic blueberry (fruit), organic ginger (root), organic garlic (bulb), organic green onion (bulb), organic raspberry (fruit), organic parsley (leaf), organic cauliflower (flower & stem), organic red cabbage (leaf), organic kale (leaf), organic cucumber (gourd), organic celery (stalk), organic aspargus (flower & stem). Organic RAW Greens Blend Organic spirulina, organic alfalfa grass juice, organic barley grass juice, organic oat grass juice, organic wheat grass juice. RAW Probiotic & Enzyme Blend Lipase, protease, aspergillopepsin, beta-glucanase, cellulase, bromelain, phytase, lactase, papin, peptidase, pectinase, xylanase, hemicellulase, [lactobacillus plantarum, lactobacillus bulgaricus], (1.5 billion/3 billion CFU). Contains No soy, dairy, tree nuts, added sugars, filler ingredients, nor artificial colors, flavors, sweeteners or preservatives. Warnings/Cautions: Store in a cool, dry place. Do not use if safety seal is broken or missing. Keep out of reach of children. RAW Organic Meal Vanilla 33.5 oz. is rated 4.7 out of 5 by 58. Rated 5 out of 5 by Hambone from Great The Raw Organic Meal replacement is great. I take it in the morning and I don't feel hungry until later in the afternoon. The product is always shipped in a timely manner. Rated 5 out of 5 by Tj from Excellent product! Best meal replacement drink I have ever had. 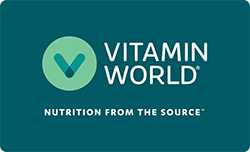 Received a Great price with Vitamin World. Will purchase again. Rated 5 out of 5 by Anonymous from I like this very much all good things about it. I don’t have anything to say about the product except it’s good. Rated 3 out of 5 by Kate from Disappointed Has a gritty texture even after putting in blender. Rated 5 out of 5 by HealthyKid from Great taste I was hesitant at first to try this meal supplement. After I tried it I fell in love with the product especially the Raw Vanilla. It's even better with a couple of bananas and blueberries added. Most of the time I use 2 bananas and a tablespoon of peanut butter mixed with unsweetened coconut or almond milk. I stay full for about 2-4 hours depending on my portion size I make. Its definitely a great product and very healthy.